A couple weeks ago Kevin and I celebrated his mom's birthday with a special dinner. 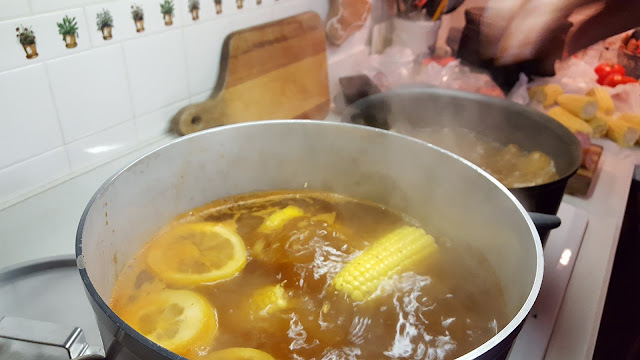 We decided to check off hosting a boil from my 101 list while celebrating her birthday. 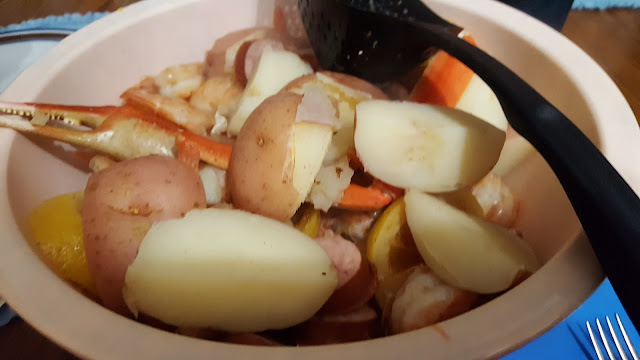 Since Chicago is in the middle of the continent seafood tends to be more expensive so I tried to follow the sales and we ended up with shrimp and crab on sale for the boil. 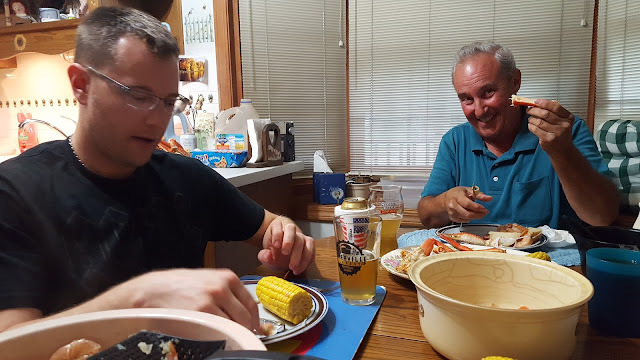 The funniest part of this is a week and a half before the dinner we had dinner with my family and it ended up being a delicious shrimp boil. So I decided to take what Bethany did and just use different ingredients. I used the timings I found on this Old Bay Shrimp Boil Recipe on Food.com. I did switch around the corn and sausage times. Since I was using a packaged one like Eckrich that didn't need as much cooking time. Overall the flavors were really good. 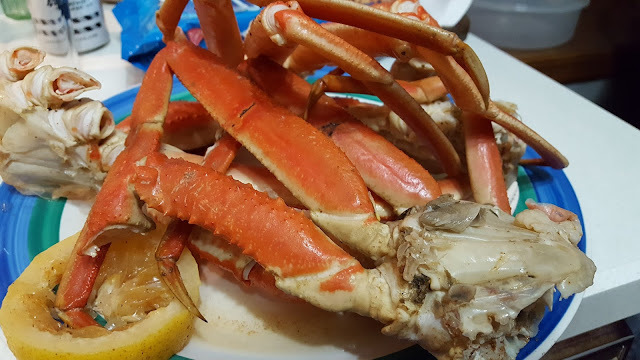 We all LOVED how the crab came out and agreed next time we probably wouldn't even need the shrimp. Also Kevin and I decided we could go with a loaf of bread on the side instead of potatoes. 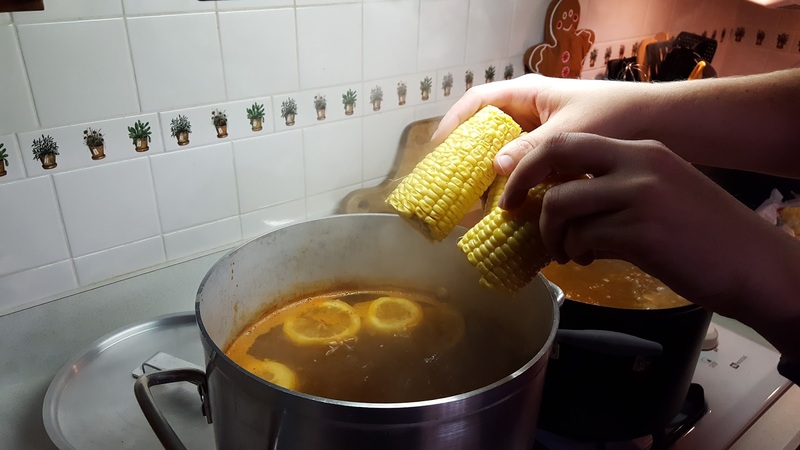 My favorite parts were the crab, sausage & corn. 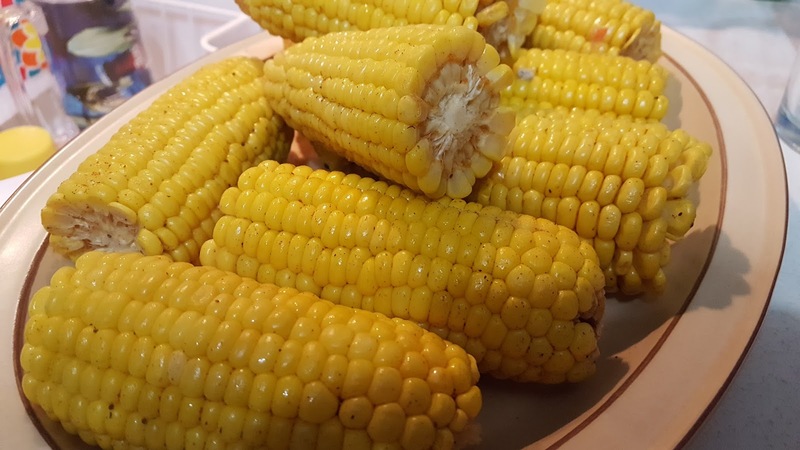 I loved how the Old Bay Seasoning and the butter flavored the corn. It was delicious. 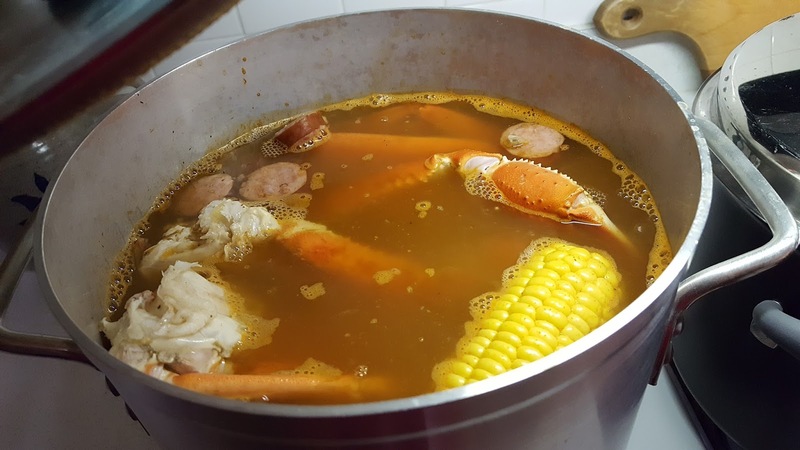 The crab boil is definitely a new Glenn favorite!